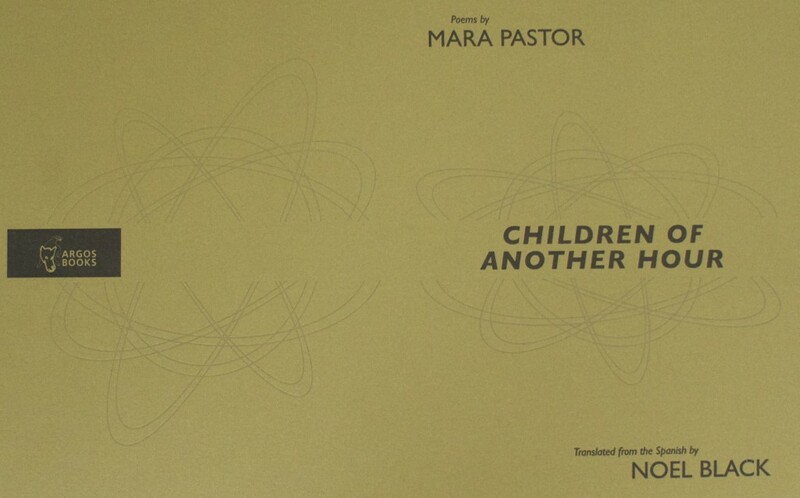 In this collection of twenty intensely imagined poems, Mara Pastor has built a whole universe of post-futuristic melancholy. These poems, despite their brevity, take on the human condition – love and death – in a world of cosmonauts, scientists, space travel, and post-apocalyptic gloom. They are concerned with the fleeting nature of our time here on earth (and in space), our inability to connect with each other, and also with our fate as a species. The poet Noel Black has rendered this work in an American English so natural and fine that it almost feels inevitable. This is the kind of book you keep in your pocket and your head for a very long time. Mara Pastor (San Juan, 1980) is a poet, editor and translator. Her works include the books of poetry: Poemas para fomentar el turismo (La secta de los perros, 2012); Candada por error (Atarraya Cartonera, 2009) and Alabalacera, (Terranova, 2006). Mara’s creative and critical writings have appeared in several magazines and she is featured in such anthologies as Hallucinated Horse: New Latin American Poetry (Pighog Press, 2012) and Red de voces: poesía puertorriqueña (Casa de las Américas, 2012). At this time, she lives in Mexico City. Noel Black lives in Colorado Springs with his wife, artist Marina Eckler, and their two sons. Co-founder with Ed Berrigan of LOG Magazine and publisher of Angry Dog Midget Editions in the late 1990s, he has since worked as a writer and producer for a wide variety of media outlets including The Stranger and WNYC. He currently works as a producer for KRCC public radio. He is the author of half-a-dozen chapbooks including Hulktrans (Owl Press) and In The City of Word People (Blue Press, 2008). Posted by Elizabeth Clark Wessel, March 17th, 2014.